TOUCHE MAGZ - Gay Indonesia: Adam & Steve? 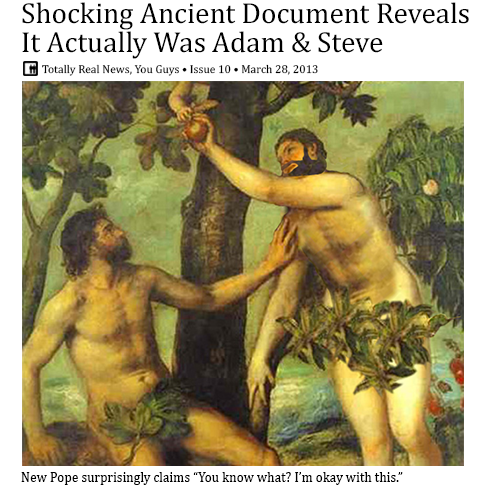 Gays brainwash themselves that God create Adam & Steve. Gays expect equal rights as those normal (not a homosexuals or lesbians), they always fight for equal right but actually it is a "privileged right". Don't call privileged right a fair play. Being gay is the most perfect Satan's persuasion.